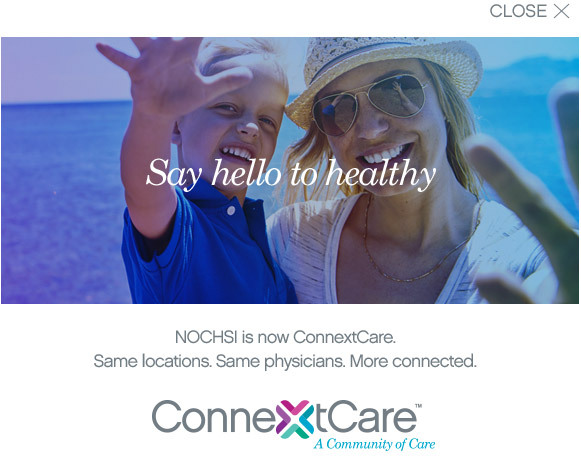 Northern Oswego County Health Services, Inc. (NOCHSI) has changed its name to ConnextCare. The healthcare network, which has served Oswego County residents since 1969, adopted the new name, ConnextCare, to better reflect its growth in staff, services and locations, said Daniel Dey, president and chief executive officer. ConnextCare, which was founded nearly 50 years ago as NOCHSI, employs a staff of 235, including a 54-person team of healthcare specialists, in multiple locations across Oswego County — all integrated into one unified system of care. ConnextCare recently expanded its service delivery reach from primarily northern Oswego County to the entire county, doubling in size through the acquisition of primary care practices from its community partners Oswego County Opportunities and Oswego Health. ConnextCare currently has six primary care locations and six school-based programs, providing healthcare services within proximity of every Oswego County resident. The network also recently added several new services, including behavioral health, dental services and diabetes management. The change to ConnextCare does not signify a change in ownership, or leadership, Dey said. Other than new signage, patients will not experience any operational changes due to the name change, said Tricia Peter-Clark, vice president of operations. The roll-out of the new name was celebrated with a special breakfast reception for the entire ConnextCare staff and board of directors Wednesday, May 16 at the Kallet Theater in Pulaski. The event included representatives from the Richard S. Shineman Foundation. This project was funded in part by a grant from the foundation. Established in 1969 as Northern Oswego County Health Services, Inc. (NOCHSI), ConnextCare is a patient-centered network of health care practices providing Oswego County and surrounding county residents with a variety of comprehensive health care and related services. The network is operated by a private, federally funded nonprofit organization governed by a volunteer board of directors. ConnextCare operates health centers in Fulton, Mexico, Oswego, Parish, Phoenix and Pulaski. It also operates six school-based health centers located in the Altmar-Parish-Williamstown, Mexico, Pulaski and Sandy Creek school districts. ConnextCare is accredited through the Joint Commission and is recognized by the National Committee for Quality Assurance as a Level 3 Patient-Centered Medical Home.